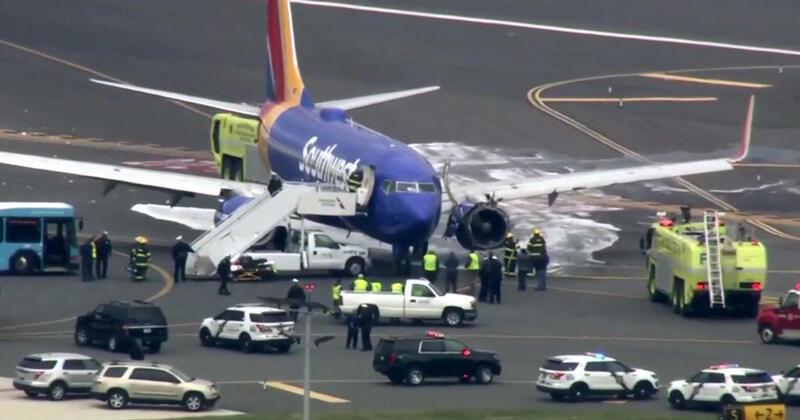 PHILADELPHIA — A Southwest Airlines plane made an emergency landing at Philadelphia’s airport with what appears to be a damaged engine on Tuesday. Passengers walked off the plane on the tarmac at the airport. He said there was “blood everywhere” on the plane. 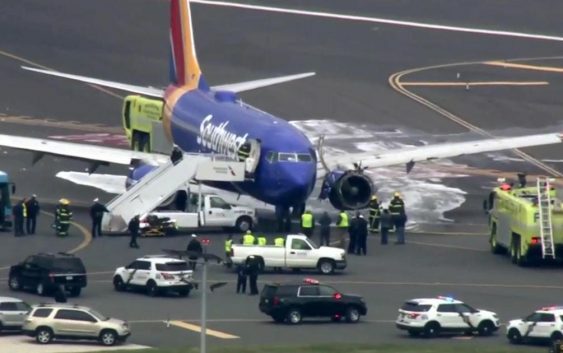 News helicopter footage showed damage to the left engine of the plane and the tarmac covered on foam from fire crews. Passengers on board posted on social media that the plane was en route from New York City to Dallas when something happened. Messages seeking comment from the Federal Aviation Administration and Southwest Airlines weren’t immediately returned. Firefighters were on the scene but a spokeswoman couldn’t immediately provide any details.